News & UpdatesPosts, Info, etc. Following an elongated bargaining process and declaration of impasse, Pasco teachers and school related personnel overwhelmingly ratified the negotiated agreements between United School Employees of Pasco and the School Board of Pasco County. On Thursday, May 18, 2017, the USEP Election Committee tallied the votes at the United School Employees of Pasco offices. 96% of the teachers and 98% of school related personnel voted in favor of the tentative agreements. In the days leading up to the May 16th contract ratification vote, teachers and SRP were given the opportunity to review and seek clarification regarding the contract settlement. The Pasco County School Board voted on the tentative agreements at their May 2nd meeting. Both the teacher and school related personnel settlements provide significant salary improvements for employees. Employees who will be receiving retroactive raises should see the additional deposit in June. The agreements also continue to provide a fully-paid employee health insurance package that includes major medical insurance, prescription drug coverage, a mental wellness program, and life insurance. “Although it is not what we had ultimately sought and hoped for, it is our belief that this settlement reflects the best outcome given the current political circumstances,” said USEP President Kenny Blankenship. If you are an employee of Pasco County Schools and not already a member of USEP, consider joining today! 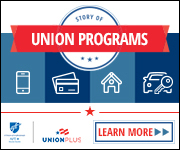 Members are eligible for a wide range of benefits through our affiliates and benefit partners. USEP also provides members with professional development opportunities and representation for member issues.